Overdrive is one of those vehicle-related terms that sound cool. In reality, too it is a cool feature but it is in no way exciting. You might imagine that the overdrive button would give your car superpowers to make it go faster or to make it sound like a roaring lion. 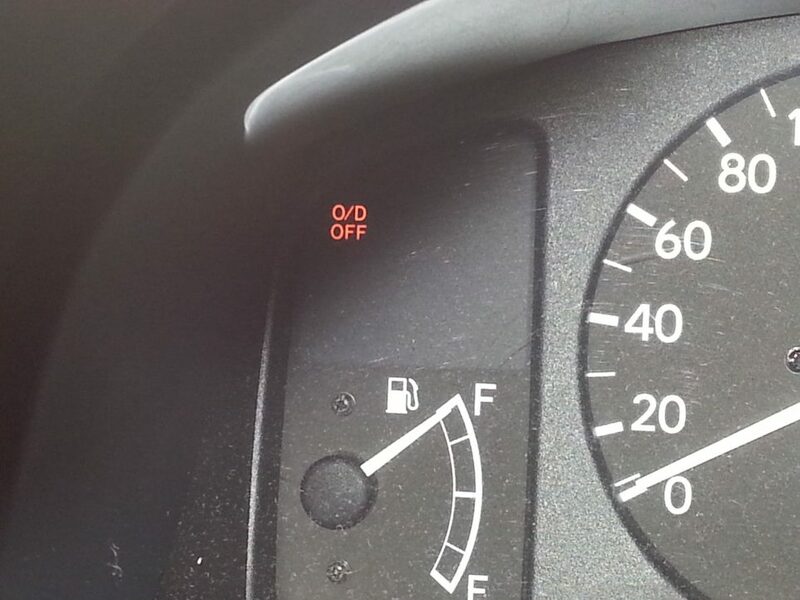 Instead, the overdrive feature found in most cars acts as an inhibitor against your car’s fuel needs. It does that by reducing the amount of strain on the engine. But what exactly is happening behind that overdrive button? We have all the answers you might need to solve your questions. Overdrive is just a special gear that reduces the burden on an engine. In simpler words, it configures the engine to perform optimally according to the current requirements. An engine creates more power in lower gears where the gear ratio lies above one. A gear ratio over one means an engine is producing more power. In overdrive, the gear ratio is between 0.6 to 0.8 against 1. This allows the car to cruise at fast speeds but in a low RPM. In essence, the overdrive gear focuses more on producing faster wheel rotations in a minute instead of making more torque for acceleration. At highway speeds, there is no need to accelerate continuously for which you would need torque. Overdrive gears are therefore preferable for highway driving rather than city driving. When Should You Use Overdrive Gear? Due to the nature of the overdrive gear, it is preferable if you use it when you are traveling at high speeds. That too if you are planning to drive for a long time otherwise you won’t be able to feel its effects. Fortunately, many cities are riddled with freeways nowadays so there is ample opportunity for you to test the overdrive function. If you go into overdrive at low speeds you would lose torque and you wouldn’t be able to accelerate your car as you should. Using overdrive at faster speeds you would be saving fuel as well as elongating the life of your car’s engine. When Not to Use Overdrive? We discussed that using overdrive at lower speeds would compromise your car’s performance but you will still be able to drive without any worries. However, there are situations where you should never use overdrive. One such situation is when you are climbing a hill or going off-road. These applications require high-torque, which is exactly what overdrive restricts. Furthermore, using overdrive is a bad idea if you are looking to overtake a vehicle. In general, overdrive technology is suitable only for cruising. That is the only situation when you could make good use for it. Do not under any circumstances mistake overdrive with high-performance or you could get in big trouble. Cruising saves fuel and when done with overdrive cruising can really save you some money. Contrary to popular belief, both automatic and manual cars have overdrive functionality. 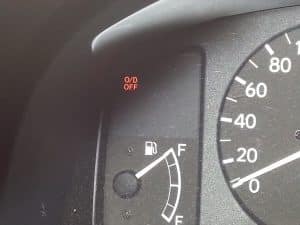 The overdrive gear performs the same in both manual and automatic cars because, in essence, it is just a gear that has a low ratio. The real difference is exactly what you would expect and that is, in a manual car you have to select when to apply the overdrive gear while in an automatic car the overdrive gear is activated by the ECU. Some automatic vehicles also come with a separate overdrive button which you can press the get better fuel efficiency, however, the final decision rests with the ECU. It can decide when exactly to put the vehicle in overdrive. When it comes to manual cars, the highest gear on the transmission is usually touted as the overdrive gear since it has the lowest gear ratio. Most cars nowadays have 5 gears on them but you can even find some cars that have six or seven gears. Like for example, the overdrive gear in a six-gear transmission would be the sixth gear. This is the reason why having more gears equals a better fuel economy. Now that you have learned what overdrive is you wouldn’t be excited the next time someone mentions it. In actuality, overdrive is a simple concept that is applied in everyday driving. The more you know about it the better you can use it to your advantage. You could save a lot of fuel and even prolong the life of your vehicle’s engine. As a result, you would need fewer repairs and less frequent maintenance. The opposite of overdrive which is called underdrive has the opposite effect on a car’s performance. Underdrive gears are high-torque gears that produce the maximum amount of torque and power. In a manual, underdrive gears are mostly the first and second gears as they have the highest gear ratio and the highest torque output. When you are not cruising, underdrive is what you need to activate for optimal performance. Overdrive as a function is not so popular in manual cars but it has a special place in automatic cars. Manufacturers have improved upon the technology of overdrive gears considerably, especially when it comes to automatic cars. Manual vehicles are naturally capable of better fuel economy, however, automatic cars are susceptible to poor fuel economy. Automobile manufacturers saw this as a problem. They solved it by adding a considerable number of gears to automatic vehicles. Nowadays, you can find automatic cars with nine and eleven forward gears. Using a paddle shift system, you can enter these gears in quick succession. This allows a car’s engine to quiet down and function at optimal conditions. We do hope that such information on the concept of overdrive comes in handy as having basic knowledge of overdrive gears can save you a lot of money.